John Kerry was in my mind Wednesday morning, and not because he had called me a patriot on NBC News. I was reading the lead story in the New York Times -- "US Troops to Leave Afghanistan by End of 2016" -- with a photo of American soldiers looking for caves. I recalled not the Secretary of State but a 27-year-old Kerry, asking, as he testified to the Senate about the US troops who were still in Vietnam and were to remain for another two years: How do you ask a man to be the last man to die for a mistake? "There are many a patriot -- you can go back to the Pentagon Papers with Dan Ellsberg and others who stood and went to the court system of America and made their case. 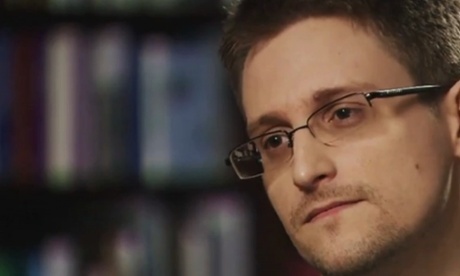 Edward Snowden is a coward, he is a traitor, and he has betrayed his country. And if he wants to come home tomorrow to face the music, he can do so." On the Today show and CBS, Kerry complimented me again -- and said Snowden "should man up and come back to the United States" to face charges. But John Kerry is wrong, because that's not the measure of patriotism when it comes to whistleblowing, for me or Snowden, who is facing the same criminal charges I did for exposing the Pentagon Papers. As Snowden told Brian Williams on NBC later that night and Snowden's lawyer told me the next morning, he would have no chance whatsoever to come home and make his case -- in public or in court. Snowden would come back home to a jail cell -- and not just an ordinary cell-block but isolation in solitary confinement, not just for months like Chelsea Manning but for the rest of his sentence, and probably the rest of his life. His legal adviser, Ben Wizner, told me that he estimates Snowden's chance of being allowed out on bail as zero. (I was out on bond, speaking against the Vietnam war, the whole 23 months I was under indictment). More importantly, the current state of whistleblowing prosecutions under the Espionage Act makes a truly fair trial wholly unavailable to an American who has exposed classified wrongdoing. Legal scholars have strongly argued that the US supreme court -- which has never yet addressed the constitutionality of applying the Espionage Act to leaks to the American public -- should find the use of it overbroad and unconstitutional in the absence of a public interest defense. The Espionage Act, as applied to whistleblowers, violates the First Amendment, is what they're saying. As I know from my own case, even Snowden's own testimony on the stand would be gagged by government objections and the (arguably unconstitutional) nature of his charges. That was my own experience in court, as the first American to be prosecuted under the Espionage Act -- or any other statute -- for giving information to the American people. I had looked forward to offering a fuller account in my trial than I had given previously to any journalist -- any Glenn Greenwald or Brian Williams of my time -- as to the considerations that led me to copy and distribute thousands of pages of top-secret documents. I had saved many details until I could present them on the stand, under oath, just as a young John Kerry had delivered his strongest lines in sworn testimony. But when I finally heard my lawyer ask the prearranged question in direct examination -- Why did you copy the Pentagon Papers? -- I was silenced before I could begin to answer. The government prosecutor objected --irrelevant -- and the judge sustained. My lawyer, exasperated, said he "had never heard of a case where a defendant was not permitted to tell the jury why he did what he did." The judge responded: "well, you're hearing one now." Without reform to the Espionage Act that lets a court hear a public interest defense -- or a challenge to the appropriateness of government secrecy in each particular case -- Snowden and future Snowdens can and will only be able to "make their case" from outside the United States.